Making Tools | Robert Mitchell Jr.
Back to the beginnings. Larry Kinsella is a great flint knapper and an all-around talented guy who, amongst other things, recreates stone-age technologies from his home near Cahokia Mounds State Historic Site (one of the great cities of the prehistoric world) in Illinois. A 6.35 kilogram (14 US pound) nodule of Burlington chert. 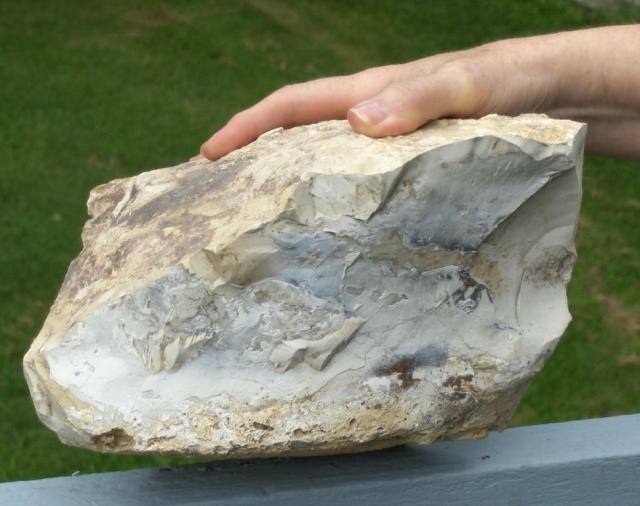 Back in 2008, Larry, prompted by Tim Baumann, created a great lithic experiment for a Missouri Archaeology Month poster. Larry, “I still need your help with the Missouri Archaeology Month Poster.